A twisted psychopath displays his victims' scalps on mannequins in his apartment in Bill Lustig's iconic 1980's slasher movie. The pretty women who encounter Frank Zito (super creep Joe Spinell) all wind up dead. But when Frank meets a female photographer named Anna (cult-horror star Caroline Munro), his interest in her - and her affection for him - leads to a battle between his good and bad sides. 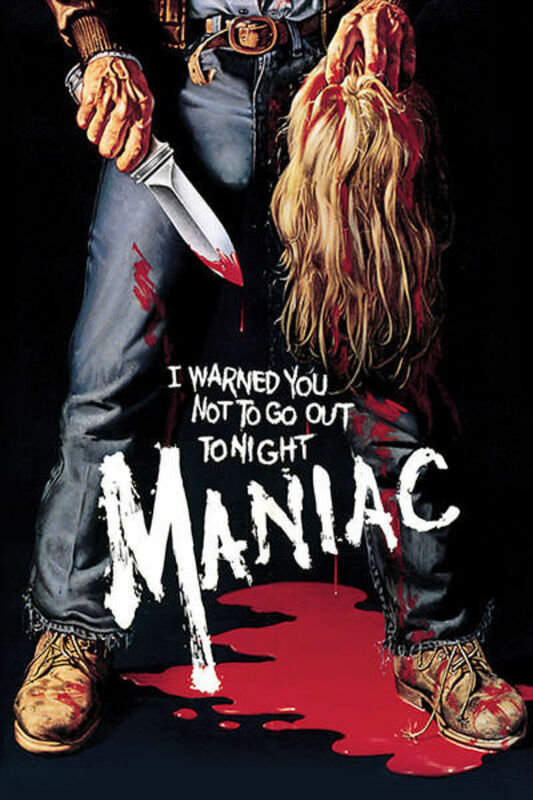 MANIAC's famous tagline read "I WARNED YOU NOT TO GO OUT TONIGHT," but no matter whether you watch it inside or out, you run the risk of being scared to death. Classic movie, hadn’t seen it in years. Although there’s nothing extremely outstanding going on here, it’s still a very enjoyable film and worth a watch. Some great scenes throughout it though, especially that ending! A classic and an astonishing performance by Joe Spinell. Great suspense with a mixture of pacing to keep you guessing. Loved it. The bathroom scene in the subway was hard to watch and extremely suspenseful. Honestly pretty disappointed with this one. I feel like it was hyped up too much, so I expected a lot. Unfortunately what you get is an almost nonsensical plot, long wasted scenes that go nowhere, characters introduced or honestly not even introduced at all, and some terrible dub overs for certain scenes. I'm a huge fan of cheesy 80'e gory slasher flicks like The Prowler, The Mutilator, Stage Fright, etc but this one was just OK. Some cool kills, and great music, good special effects by the great Tom Savini. However, tell me how a fat slob Ron Jeremy lookin psychopath all of a sudden has the ability to be smooth and chat up women about art, or why we have a 15 minute follow/chase scene with a character we don't even know the name of, only to have her get killed instantly at the end of it with no struggle. I wanted to like this film, I really did. But eh, there's far far far better out there. Worth a watch to kill an hour and a half, and to see what the hype is about. In my opinion, overrated..but fun.